Elevate your pro audio gear in style with our new heavy-duty L-EVATION stands. 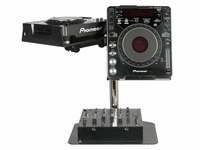 The LCDJSPDB is made to hold two Pioneer CDJ-1000 players. 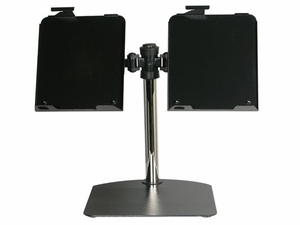 Easy to assemble and customize with its adjustable height and strong robotic-like support Dual arm. Set it up over your turntable, mixer, and other gear giving you easy access more tabletop gear. � Cut out for SD card in front.